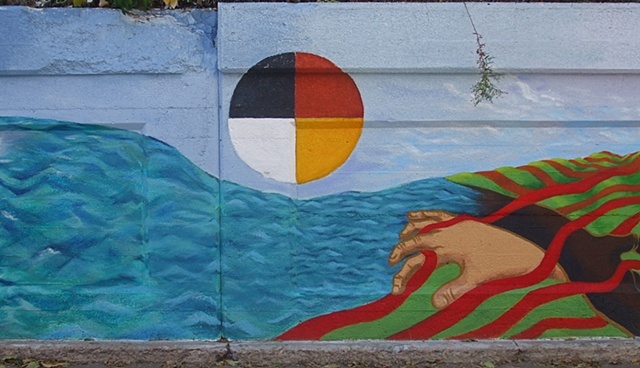 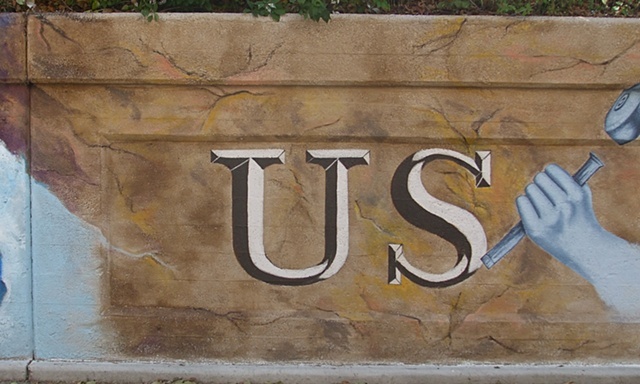 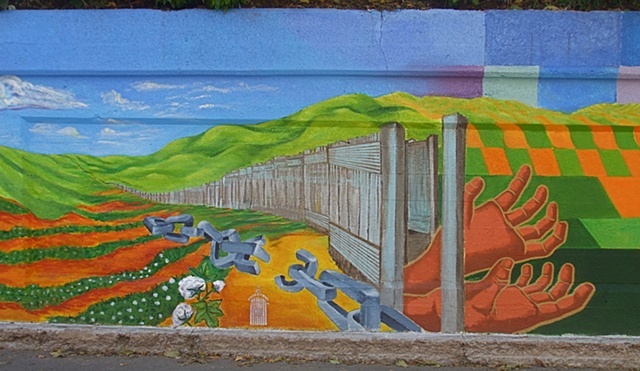 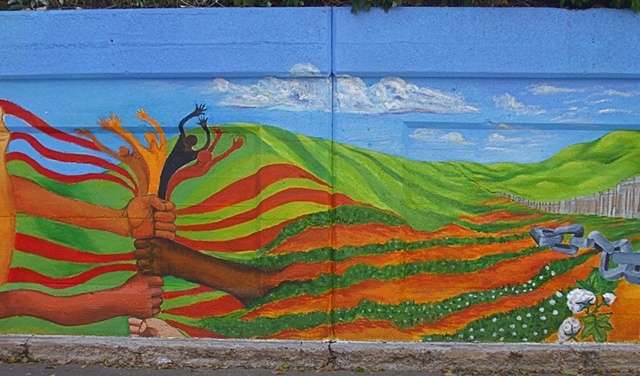 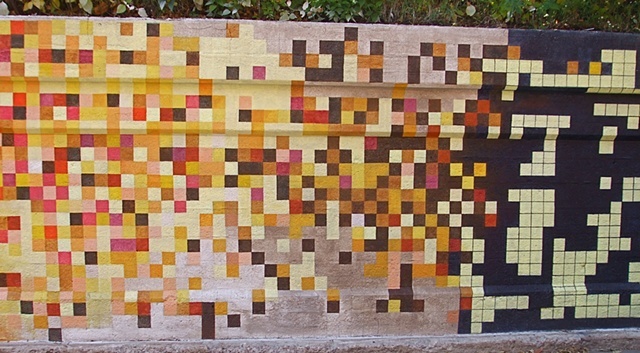 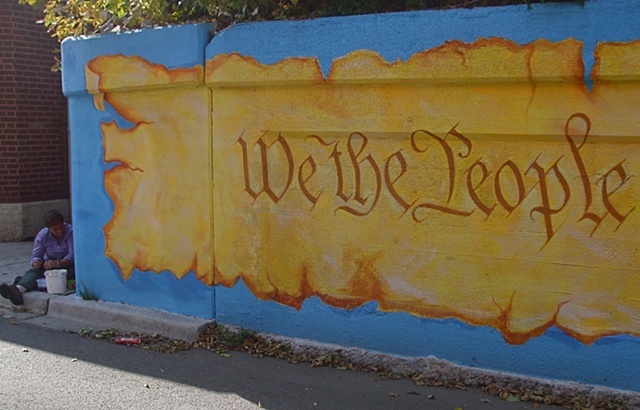 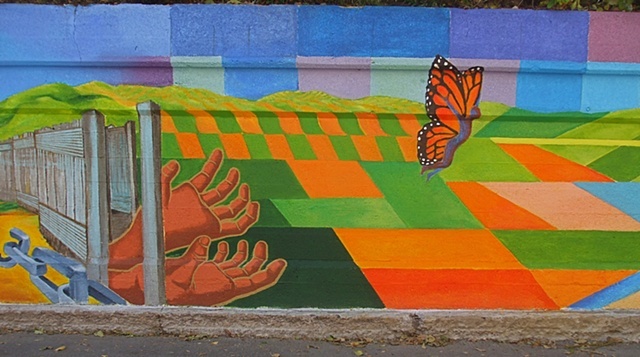 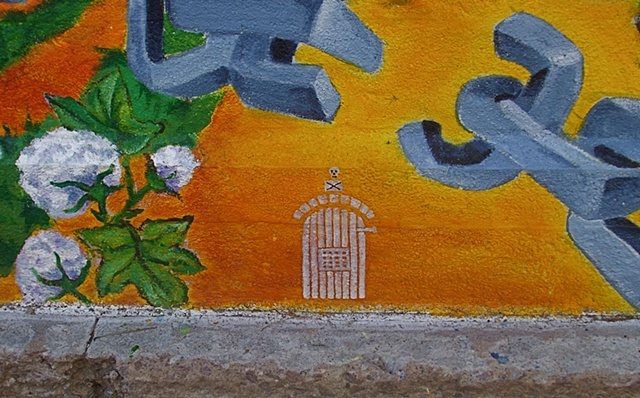 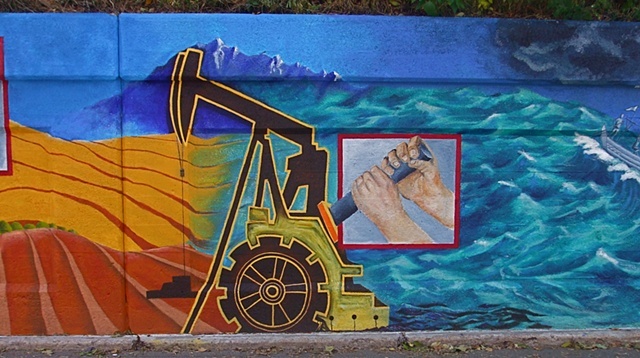 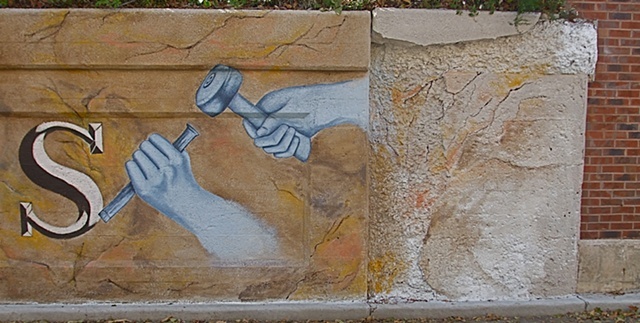 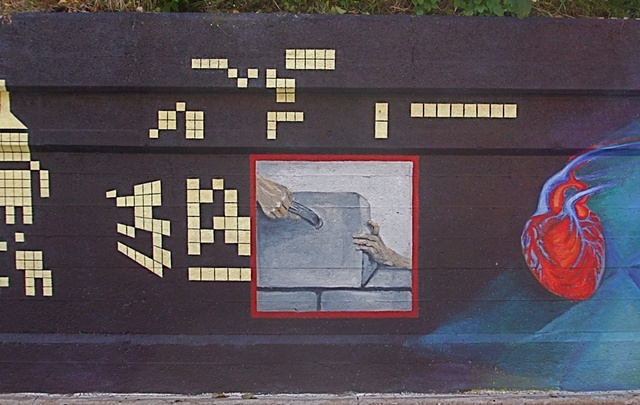 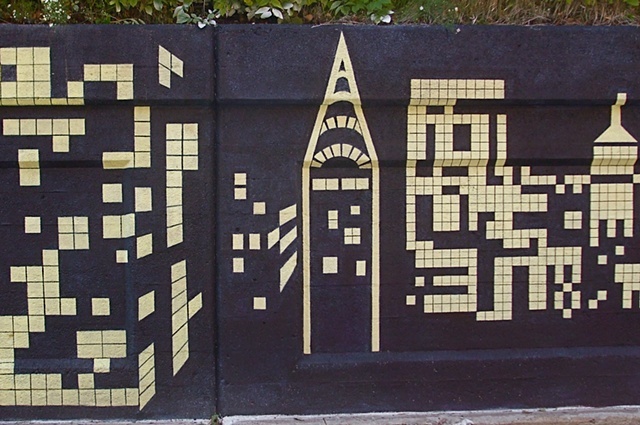 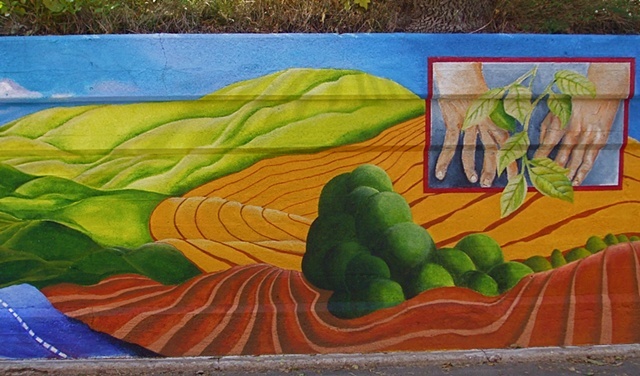 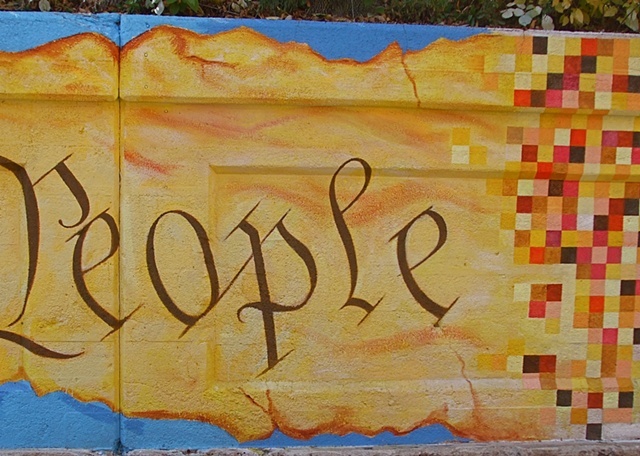 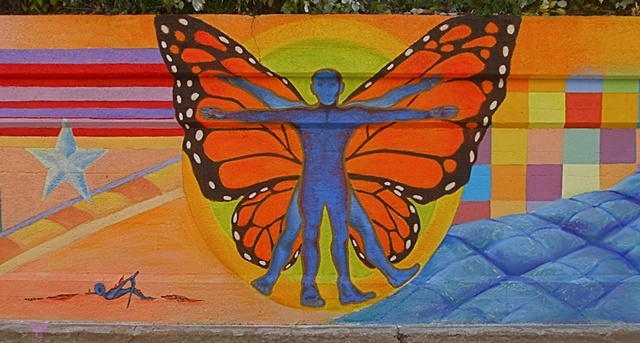 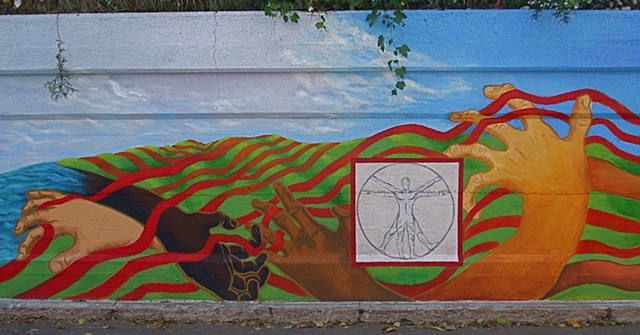 In 2011, the Chicago-based arts collective COMIGO were selected to paint the east Glenwood wall from Morse to Lunt, responding to a local call for artists on the theme of “Patriotism in Everyday Life”. 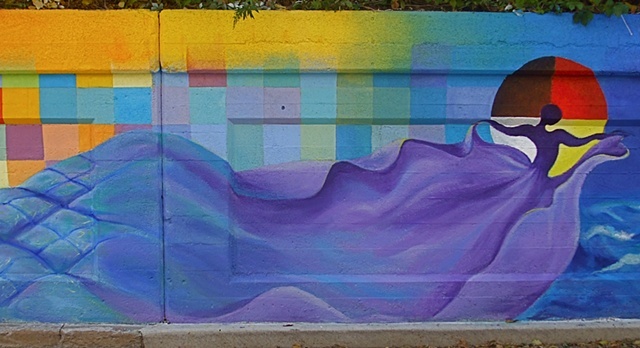 COMIGO is Diana Berek, Chiara Padgett, and Juan-Carlos Perez, three Rogers Park artists who have had extensive experience in the visual arts as well as in mural and public arts. 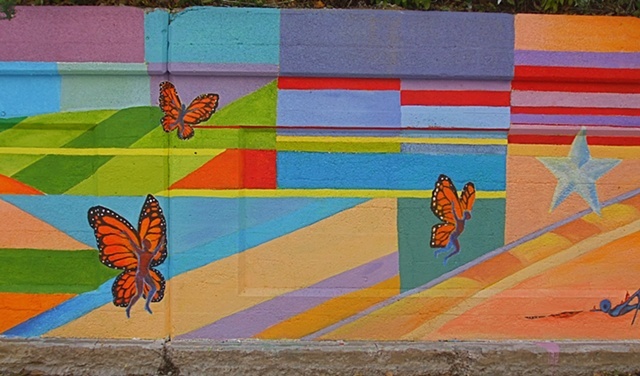 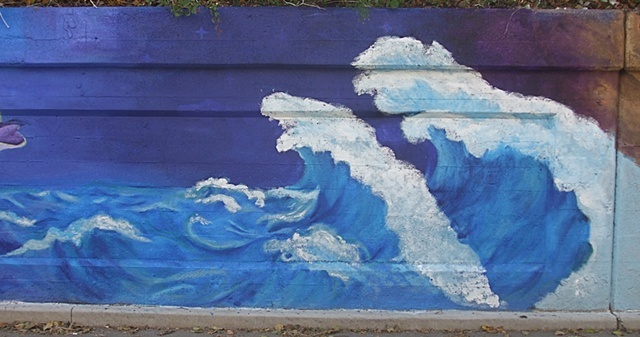 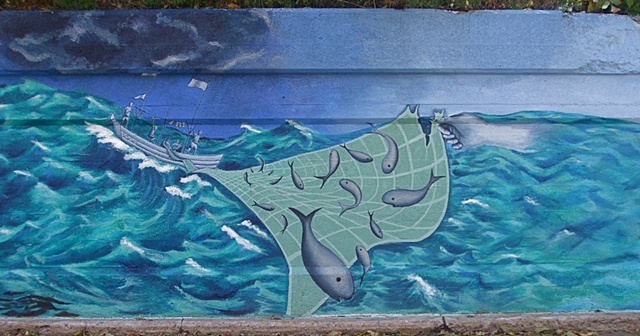 They first met when they worked on last year’s Mile of Murals project.